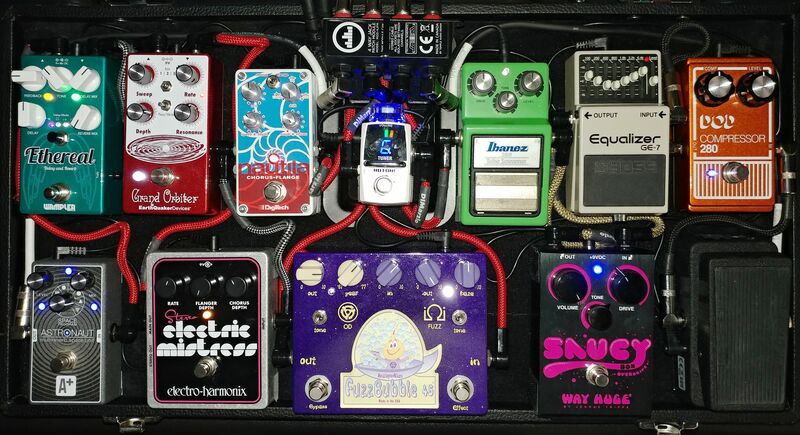 Re: LETS SEE SOME PEDALBOARDS!!! Last edited by stargazer747 on Sat Jan 12, 2019 1:53 pm, edited 2 times in total. It can get pretty costly, not that I make tons of money nor is it that I am getting paid for playing. But when you have a passion for something as all of us here on this forum do for music, its hard to hold to a budget. I do look towards some gear I would love to own but went for a modestly priced model or alternative because I could not justify its price tag. We all have to live within our means and if there is a piece of gear you would like but cannot go for it new, you can looks towards getting it used from eBay, Reverb.com, Guitar Center, etc. A few of my gear were bought used from those sites. 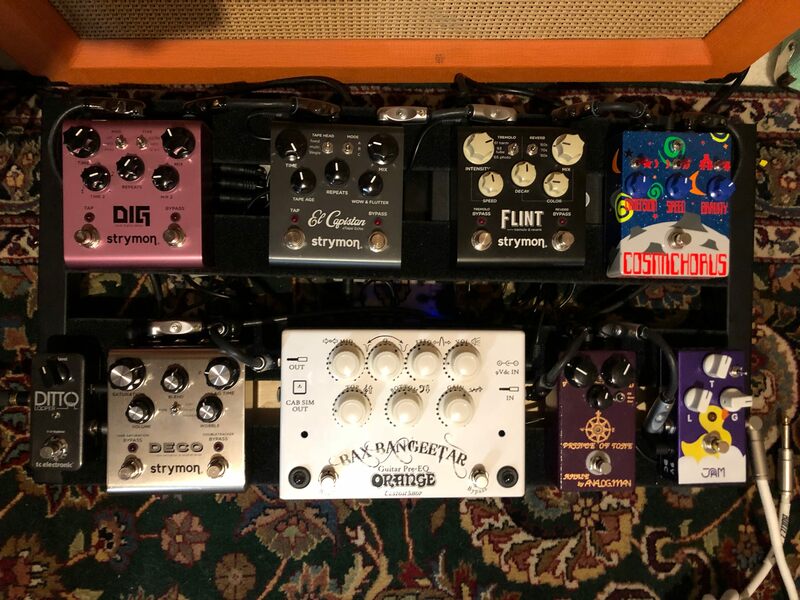 In all I have 4x Orange Terror heads, 3x 112 cabs & 1x 412 cab all with Celestions, 22x pedals on 2x pedalboards with pricey DiMarzio patch cables and extra 9V power supplies, 7x guitars, and 1x keyboard synth from the 80s! Not to mention thru the years so many pieces of equipment I had and sold off, traded in, or gave away! 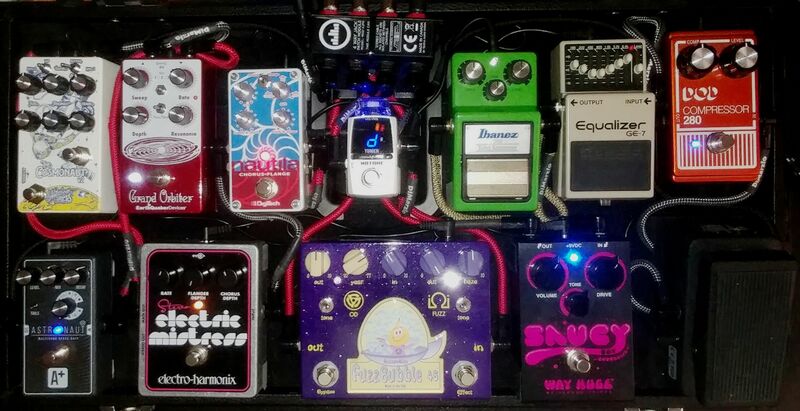 I have set up 4 rigs, 2 of which are pictured here plus 2 others, another 112 cab by Ibanez and the Orange Micro Dark Terror and a big rig with the Rocker 15 Terror & a Marshall 412 cab (all 4 of my cabs are Celestions), sort of giving myself enough options for tone and for whatever band I end up jamming in and if we ever play live, I've got that covered. 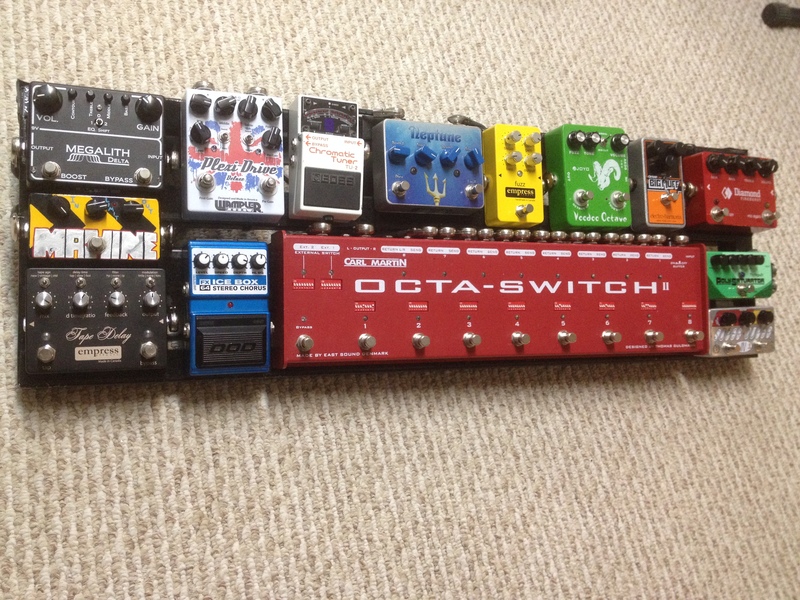 I was even thinking of setting up a 3rd pedalboard, smaller than these 2 maybe with just 4 essential pedals on it. Finally got a good fuzz! Last edited by stargazer747 on Tue Apr 16, 2019 11:36 am, edited 5 times in total. I'm never happy, so its constantly changing, when develop the patience to tackle it. Recently I ditched a homemade board I had made, when I decided to upgrade to the TrueTone CS12. I'd tried the Voodoo Labs and was not impressed at all, plus bracket is sold separately and and the 18v connectors... naw. You get all that stuff with the TrueTone... plus whisper quiet power. Flanger is probably coming off (maybe) later this week. Buying a POG off a friend. This is a bit dated now, though. 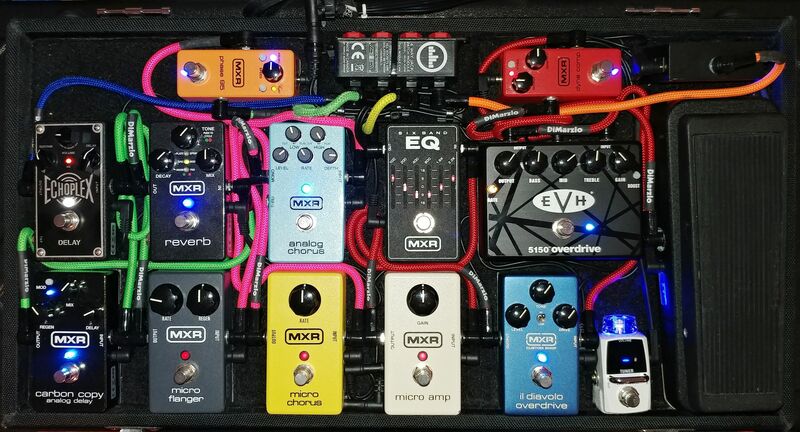 I've got my Strymon Riverside OD on the board in place of the MXR OD, and I took the Doubler out and put my Behringer reverb back in.